Santal experiences event like marriage,birth,festivals,bitlaha and divorce and so many. As Santals have community living and all the events in their life are taken by all the villager specially ‘More hor’ . The presence of Nature is also found in their social events. Divorce is granted at the wish of either husband or wife. The following are the grounds for which the Santal men and women demand the divorce. The divorce can be demanded by husband if his wife is proved to a witch, or is sexually immortal ad she does not obey him or she lives always in her father's house. The wife can claim divorce, if husband cannot supply sufficient foods, clothing, ornaments or doesn’t obey her etc. Sterility is another ground for divorce. In case husband seeks the divorce, he cannot claim the bride price and he has to pay certain amount of money as fine. If wife demands the divorce then her father has to refund the bride price. The divorce is affected in the presence of the assembled villagers in the following way; The husband is made to stand facing the sun on one leg. He has a cloth rounded his neck each end which is held in the hand along with three Sal leaves. Then taking the name of Sin -Bonga he tears the Sal leaves in the token separation and upset a brass pot full of water. Wife repeats this too. There is belief that if the Sal leaves are not fully torn or the lotta (Brass pot) are not wholly emptied then the couple must come again together. In Santals, the birth and Naming ceremony is enjoyed with person’s relatives and villagers. When Santal women get pregnant, The husband during his wife's pregnancy never kills any animal nor participates in any funeral ceremony and does not come in contact with any dead body. The pregnant woman during the evening very rarely comes out of the house. She does not weep when the death occurs of her relative. On the day of moon eclipse, she will not come out of room. She should not sit on courtyard with her hair or cloth hanging downward. After the birth of a child, the house is considered polluted. So the Santals performs the Janam Chatiar ceremony. Until it is done, no other activities can be undertaken like hinting etc. The usual day for the ceremony is fifth day for male and third day for female child. After ceremony, the men and women and children of the village who have assembled at the house each a leaf cup full of rice water with the leaves of Neem (Neem dak' Mandi). Generally it tastes sour. On the fifth day, the children are given the name. Should it happen to be son and then he takes the name of grandfather. Should it be second son born, he takes the name of maternal grandfather and thus third from paternal grandfather's brother and fourth from maternal grandfather's brother and so on. The same procedure is followed for girls the female relations being in the same order. It is the important ceremony for Santals which allows the individual to take his place in Santal society and it enables to participate in its rights, ceremonies and rules. An individual is not authenticated to get married in Santal society. In the Santal Society village organization is considered to be an essential component of socio-political life. The cultural analysis of the Santal village administration would pave the way for a clear understanding of the economic and political stratification and their history and evolution in ancient India. This indeed, will give an idea about the contribution of Santals towards modern social system. The democratic equality characterizes the Santal society. Wealth matters little in the day-to-day life. The clans are regarded as equal to other clans and there is no class distinction either in status or occupation. The village is generally multi clans and each clan has sub number. 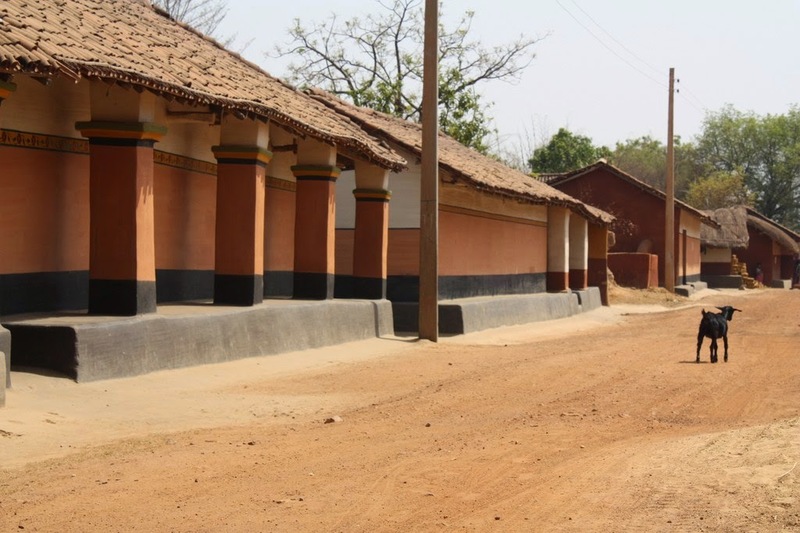 The Santal villages are social and political entities with great cohesion and continuity. Each village has well established political organization with a secular headman called Majhi who is a man of great prestige. The village council controls the entire social system of the Santals. 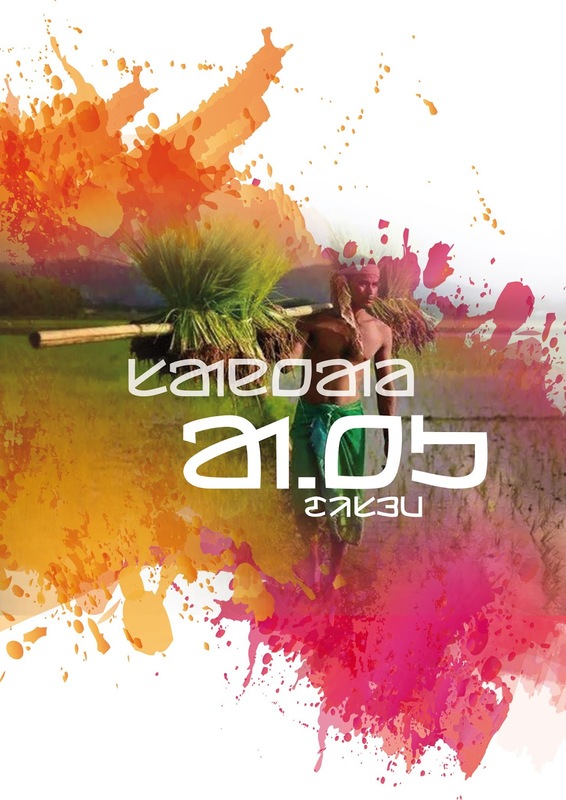 The village council or Atu Mone Hor is consisted of Majhi(village headman), Jog Majhi (Deputy village Headman), Paranik (Assistant to village Headman), Goddet (secretary to village Headman), Jog Paranik(deputy Paranik), Naeke(head village priest) and Kudam Naeke (Assitant to village priest). All the villagers are member of the village council. The disputes in village are settled by institution Village Council. 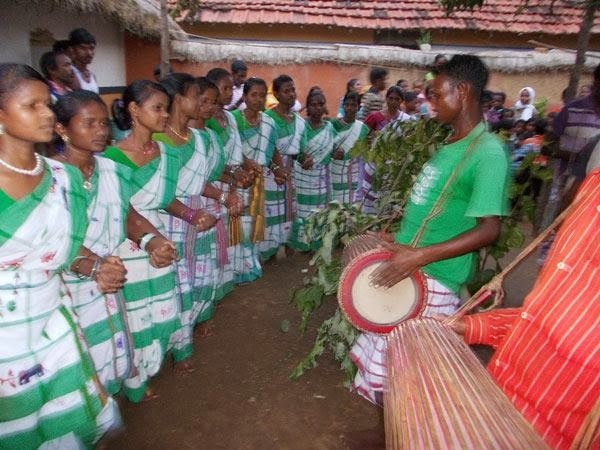 Santal community as a whole maintains certain uniform customs and laws with relation to marriage, divorce, birth etc. Majhi presides over the village council meetings when they are held to discuss the matters related to village. In event of disputes arises with different village, he acts as representative of village. Paranik is the principal assistant to Majhi and representative of Majhi. If Majhi dies without any male issues or brothers, then paranik will get the office. and Goddet. No public sacrifice, no festival, no ceremony such as marriage can be done without Majhi taking initiative. Jog Majhi serves as the supernatant of the youth of the village and he is one the link between younger generation to older generation and he generally passing all the secrets to younger ones. In the absent of Jog Majhi, the Jog Paranik officiates. Equally important is the religious headman called Naeke and his assistant Kudam Naeke.